So as you know I’m still on my spending ban, I did however decide that I would buy replacements for any products I used up. So these are the bits I decided to replace! First up are the Origins GinZing Refreshing eye cream, (£23 for 15ml), Origins GinZing Energy boosting moisturiser (£23 for 50ml) and Botanics Cleansing Toner (£2.69 for 250ml – on offer at the minute). I bought all of these at boots. The two Origins purchases, although not entirely necessary, were bought as the samples that I had of both were entirely used up and I have been using other eye creams and trying different moisturisers at night, none of them held a candle to the Origins creams. So I bit the bullet and bought them both – turned out on the day that I also got a bonus 750 advantage points! So that made me feel slightly better. 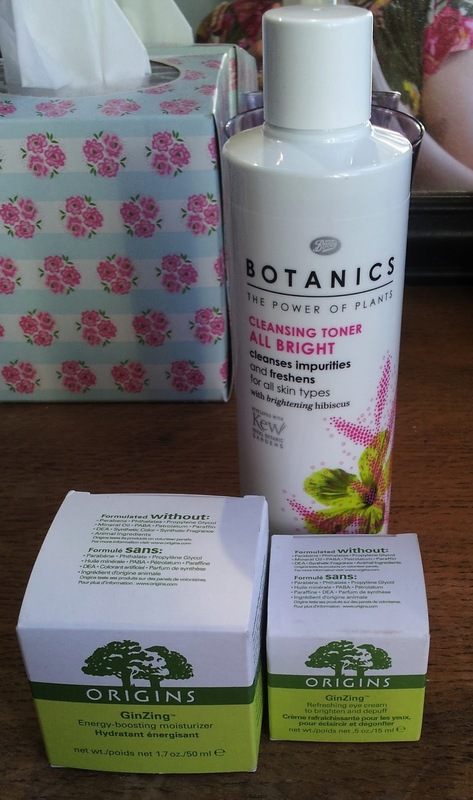 The Botanics cleansing toner was in place of the Clarins exfoliating toner – I had a sample of the Clarins toner and used it up, noticing a positive change in my skin, since finishing it I’ve been trying to repurchase without any success – it was always sold out in store. I’ve heard the Botanics cleansing toner was being compared to the pixi glow tonic. So for a 10th of the price of the Clarins toner I thought it would do no harm to try the Botanics toner. Fingers crossed it works as it’s massively cheaper! 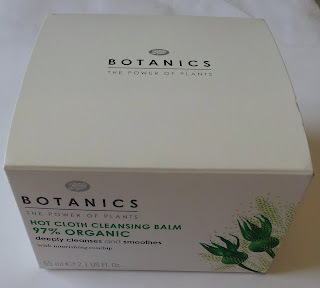 Next up is another Botanics goodie. It’s the Hot Cloth Cleansing Balm. I’ve been trying to use up the No7 Hot cloth cleanser but it isn’t working as well as I would’ve expected. It is cleaning my skin but it’s slightly overly creamy for my face I think. Either way I need to swap it out with something else even if it means rotating between two products. So I thought I’d try this. It was also on offer at £7.99 for 65ml, plus I had a voucher and I got a bonus 200 advantage points! 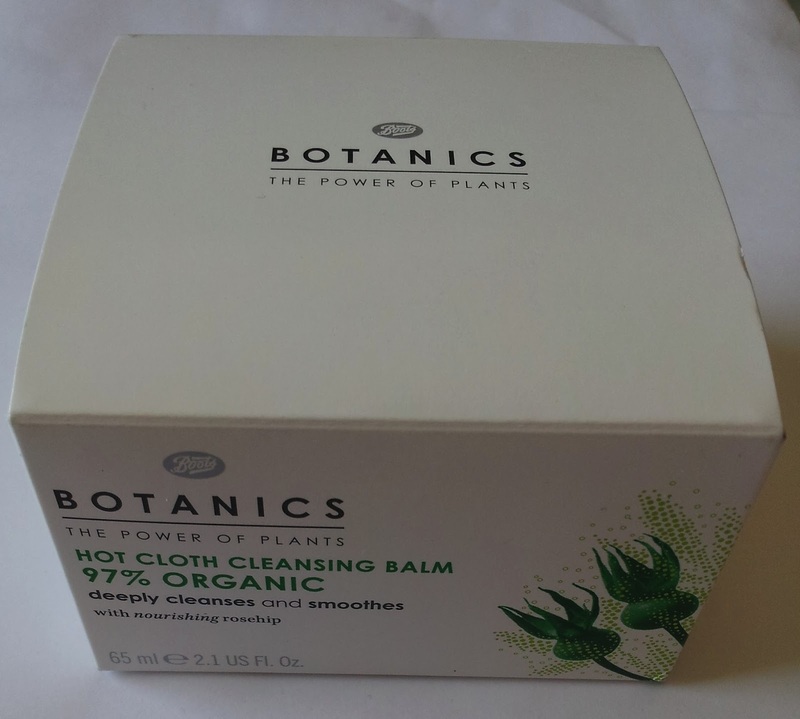 I may have a slight addiction to boots advantage points….I’m hoping this works out, it has rosehip and other good things in it, so it would be excellent if it worked and may be a cheaper alternative to the Emma Hardie cleansing balm. This comes with a muslin cloth – I’ve been preferring my face clothes though, but this is a handy backup. Finally is a free gift with purchase. I got this from Very, I was buying birthday presents for my niece and I picked this as the free gift. 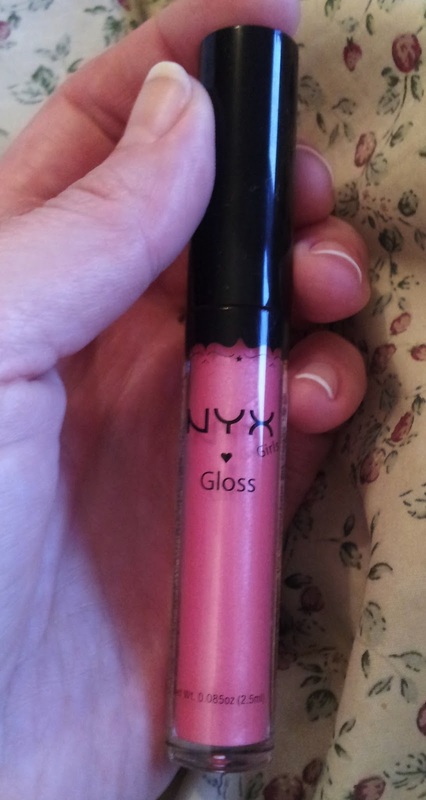 It’s the NYX Round Lip Gloss in Ballerina Pink. 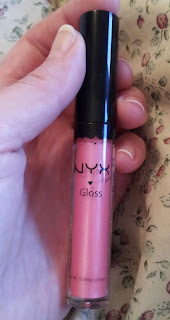 I’ve already been wearing this and I’m actually tempted to try more of the NYX lip glosses when I finish my spending ban, this is so creamy and non-sticky! 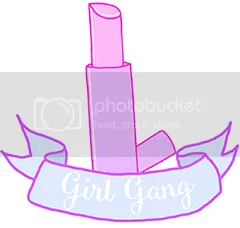 It’s lovely over most pinky lipsticks to add that wee bit of extra shine in the centre of my lips. 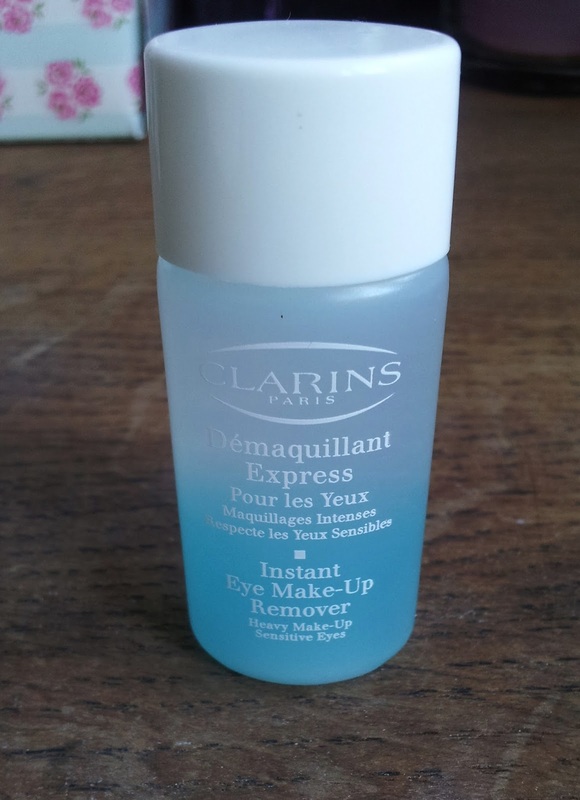 Lastly is a sample from Clarins. It’s the Instant Eye Make-up Remover. I’ve heard so many good things about this that I thought I would try it out. The lady at the Clarins counter was good enough to give me this sample when I mentioned it!